« Lost In Myth: Where’s Your “Happily Ever After”? In Lost’s “Everybody Loves Hugo,” Richard complains that Jacob “never tells us what to do.” Richard’s frustration echoes clearly into our world. For most of us, Jacob, aka God, never seems to tell us what to do. He just sits back and lets us make our own mistakes, leading to countless horrors and suffering. For many, this is a major argument as to why there is no God. 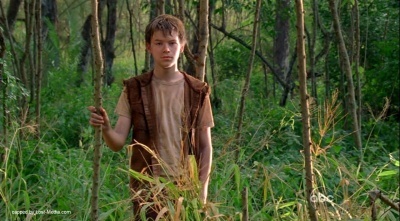 Yet, when watching Lost, we see that Jacob does in fact tell the Losties what to do—sometimes directly, sometimes through his lists or clues, and sometimes through messages that he passes on through his emissaries. But certainly this doesn’t happen in our world. Here, there are no ghosts of Michaels past, otherworldly whispers, or visits from dimension-hopping Desmonds to guide us on our journey through life. Or…is there? “Everybody Loves Hugo” was ultimately about soul mates and guardian angels. You might be scratching your head at this assertion, but if you go back and watch the episode with these themes in mind, I think you’ll see what I’m talking about. Libby asks Hugo if he believes in soul mates. Michael appears twice and “yells at” him to take charge. Desmond mysteriously appears to give Hugo advice, telling him to go with his gut. Hugo’s gut is bigger than most, so I think the metaphor is that his instincts should be more pronounced as well. These instincts allow him to hear messages others do not. Messages from spirits like Michael. But should he be listening? Very rarely in myths do ghosts or presumably imaginary characters show up speaking anything but the truth—especially when they show up out of thin air and disappear as quickly. Like Hamlet’s father’s ghost, Cinderella’s fairy godmother, Scrooge’s former partner Jacob Marley, or Locke’s visions of Boone and Walt, these characters provide information that mortal characters can’t know. Such is most likely the case with [Hurley’s imaginary friend] Dave, but we’ll explore more about that later. For now, let’s just say that Hurley may end up being the key to solving the Lost mystery. In case there was any room for doubt within the realm of Lost, Hurley basically spells out this truth when Miles incredulously asks why he just does what the ghosts tell him to do. “Dead people are more reliable than alive people,” he replies. Good on ya Hurley! Great, so ghosts, fairy godmothers and guardian angels in myths speak the truth. But how does any of this help us in our world and what does it have to do with soul mates? Soul mates and guardian angels actually serve a common purpose in our lives: to help guide us on our paths. 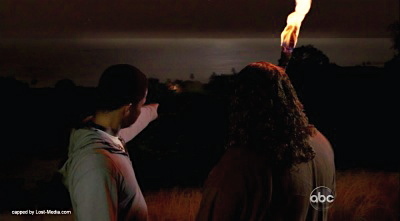 In this episode of Lost, the spirit of Michael is acting as Hurley’s guardian angel by telling him to take charge because people will listen to him. However, Hurley is not a take-charge kinda guy. Of course he’s not! In fact, this is how you can recognize the message of a guardian angel—it will always require you to do something that takes you out of your comfort zone. They never tell you do something easy, because then you wouldn’t need the otherworldly push to do it. The messages of guardian angels come to us all the time in various forms but we usually don’t want to listen to them because they challenge us to do something we don’t want to do. In fact, that’s an understatement. They challenge us to do something we absolutely abhor doing because it’s interwoven directly into our deepest fears. How can Hurley, who is afraid to simply talk to a girl, take charge of a group and become a leader? The same way Jack learned to not be a leader who fixes everything, and instead, just listen. He does it by breaking his usual habits and challenging his typical nature. And yes, like Jack and Hurley, sometimes one person’s challenge is exactly the opposite of another person’s, but that’s only because the two personalities are opposite. Often these “inverse personalities” are in our lives for exactly this reason—for us to use their strengths to help overcome our weaknesses. But how do you know what you’re supposed to be changing? You know what your challenge is because it will almost always be the thing you most hate to do. So if you are someone who never takes charge, your challenge is to take charge and speak up for yourself—whether to your boss, your enemies, or even your loved ones. However, if you are a bossy type, your challenge will be to listen to others and take their advice and accept that you may be wrong. This will be the hardest thing for you to do. If you are someone who is always giving, learn to receive. If you are always taking, learn to give. As Jerry told George in Seinfeld, “If every instinct you have is wrong, the opposite would have to be right.” Even though this truth was told in a humorous, Seinfeldian way, as with Lost, it’s a message for us. 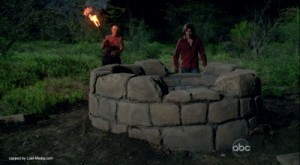 Lost is certainly not the first TV show to contain hidden messages. It’s just the first to attempt to cover, well, nearly all of them. Our time may be running out. So Lost has come along to try and cram six thousand years worth of wisdom into six hearty seasons. As part of the very small group who not only watch the episodes but are interesting in learning what they are teaching us, it’s your job (even though you don’t feel like it) to spread this wisdom to the world through your blogs, podcasts, articles, YouTube videos, emails, Tweets, and whatever else you do to pass along info. But you are not alone in this. The universe is giving you help. You just have to know where to look. You should look to the messages of our “guardian angels.” Just as with Jacob, these messages come through many different mediums and show up in various forms. It could be something a friend says, a resonating horoscope or article you read, or a TV program you watch or radio show or podcast you listen to. You might overhear a message from a complete stranger on the street, see it on a billboard, have a drunk shove you and accuse you of it, or a bum yell it at you—especially a “crazy” bum since they are often the most attuned to other realities but often overload when they cannot properly channel them (as we see nearly happening to Libby). So, should we listen to every single thing our horoscope or some crazy bum or drunk says? Of course not, for one thing, there’s simply too much of it. So how do you separate the diamonds from the diatribes? First, you have to separate the message from the medium. Ignore whatever judgment you have about the source, and just listen to the message. Then, ignore your ego. Quiet your ego voice that’s telling you to react and not to listen to this “idiot.” Once you quiet that loud, screaming, inner voice, you might hear your quiet whisper voice—your gut instinct or intuition. That’s the voice that’s much harder to hear, often because we don’t want to hear it. You can recognize it because its messages will challenge you to grow beyond your usual habits and patterns. These messages will dig into your sensitive spots—your fears—and when they strike that nerve, you will likely react with anger, sadness, superficial agreement, or avoidance, depending on your comfort zone. You can actually witness this drama play out on just about any web message board or in the comments section of most columns. No one is immune to it. It’s human nature. The only question is how you react and to what degree. And because I just snuck that in, let me repeat it again to be clear: the interactions on the Internet are filled with guardian angel messages meant for us. They are being relayed through others—metaphorical spirits of Michael, Ana-Lucia, Walt, or Boone—all channeling (possibly in the form of yelling) messages we are meant to hear. Not all of these messages are for us, just the ones that resonate or strike a nerve. While the Internet has made God’s job easier, it isn’t the main source for guardian angel messages. Many times, these messages are relayed directly from (flash-sideways) Desmonds or Libbys—our best friends or closest loved ones. These messages are reserved for the most difficult challenges. The ones that cannot be expected to be overcome with some random overheard comment, frivolous horoscope message, or enlightening website comment. They are meant to help us with something that will take an entire lifetime to work out. The ultimate channeler of these hard-core, über-challenge messages, is the soul mate. Your soul mate is the one person on this earth brought here to help you deal with your deepest issue. This issue is so big, it requires work that will take a good part of your life to resolve. That’s why it takes someone who will be with you for a good part of your life to resolve it. Think of them as your personal psychologist—one who will either inspire you to grow, or drive you mad. In fact, your soul mate is usually the one person who has the potential to drive you the craziest. That’s why, as they sing in the Broadway play Avenue Q, “The More You [Love] Someone the More They Drive You Crazy.” You have been assigned to each other because the other person holds the key to unlocking the best version of you. I sometimes wonder if “love at first sight” is actually love at all, but instead the recognition of your soul mates from your future. The love comes when that person challenges you to be a better version of yourself, and you then grow into that person. As Antoine de Saint-Exupéry, the author of The Little Prince wrote, “Perhaps love is the process of my leading you gently back to yourself.” True love connects on a soul level, transcending the illusion of time, which is why we can recognize it from our future or even from a dimension where our destiny was decided. So if there’s someone in your life who drives you crazy, instead of continually reacting in anger, thank them. Be grateful because they are giving you the opportunity to become the person you are destined to be. Of course, not everyone reaches his or her destiny. Not everyone hears the barely audible message whispering under the loud clamor of ego. When the whispers show up, like the Losties, most people go on the defensive and ready their guns, or even fire them as the Ana Lucias of the world might do. It takes a Hugo to go with his gut and calmly walk to the source of the sound and listen, and even offer to help—even someone who may have caused us a lot of personal pain as Michael did by inadvertently killing Libby. Because of his modesty, Hugo has always been someone who could be a clear channel for guardian angels. Only, he had to gain confidence to believe it himself. It takes confidence because usually when these messages tell people what they need to hear they react—especially if it touches a nerve. As American humorist Don Marquis wrote, “If you make people think they’re thinking, they’ll love you; but if you really make them think, they’ll hate you.” The reason is because the first makes people think they’re smart. The second makes them think they’re dumb, and therefore, must grow to understand or deal with something. Guardian angel messages really make us think. They make us take a look at ourselves, and when we don’t like what we see, it’s easier to blame the messenger than take responsibility to do something about it. 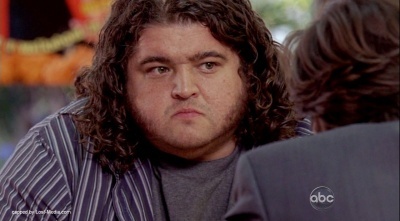 Early on in Season 2, we had a Hurley-centric episode titled, “Everybody Hates Hugo” when he was put in charge of the food supply. 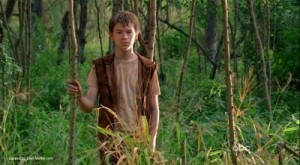 Everybody hates the messengers at first but as we grow we come to love them. They inspire us to become stronger, better people, and once we recognize who we are and who we were, only then can we really appreciate the wisdom that helped get us there. Hugo has become much closer to that person in Season 6, and that’s why we now have a title, “Everybody Loves Hugo.” I believe that Hugo has grown into this flash-sideways person because of what he went through on the island. I believe they are directly connected. In this same episode, we see that Desmond has almost become a literal guardian angel by righting certain wrongs and bringing people together. One might wonder then, why try to kill a poor, defenseless, paraplegic John Locke? My first thought was that it was all due to a misunderstanding. Desmond thought that the Man In Black—the man who threw him down the well—was actually Locke, and perhaps he wanted to get revenge in the flash-sideways. But much like Jedi, guardian angels don’t seek revenge. So I was a bit confused about the message. Until I began to put the pieces together. Locke was struck but not killed. He will likely now go to the hospital and be operated on by Jack. Jack, the surgeon who offered Locke hope about fixing his spine. In “The Substitute” Locke came to accept that he’d never be able to walk again, albeit, more out of hopelessness than any true acceptance. Still, I think after all he’s been through, this might be enough for him to be rewarded with a functioning spine. Whether or not this was Desmond’s intention, we may never know, but it doesn’t really matter. The point is that sometimes when we aren’t proactive enough in our lives to do what we are meant to, the universe forces us to. Perhaps Locke needs a way to regain his faith in this flash-sideways world. That may mean regaining the use of his legs, or simply surviving a head-on car crash. 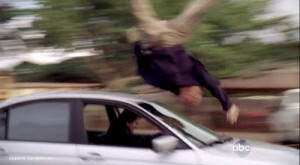 It would be perfectly ironic and Lost-esque if Locke were to regain the use of his legs, but due to the accident have to get them amputated. In the end, he would at least be able to walk with prosthetic limbs. Okay, maybe I’m stretching it a bit here, but it is in line with the myth. Getting back to Desmond, what was the deal with him and MIB on the island? He took his hand and walked innocently into the middle of the woods with him to a deep, dark well. The message is that there is a difference between living your destiny and living naively because you think everything will work out. Yes, Desmond is correct that he should just go with the flow, but what happens when there is a fork in the flow? What happens when there is a side-creek to the river you’re floating down? How do you know which way to go? Again, trust your instincts! What was Desmond’s mistake? The boy. Remember, the island, aka the universe, offered him a choice. The man he is blindly following sees a boy who frightens him. When Desmond asks about the mysterious apparition, MIB yells that he should “ignore it!” The boy then smiles at Desmond and runs off. After having read this column, what do you now think was Desmond’s proper move? Think back to the wisdom of ghosts, apparitions, and other-worldly visions. Remember that they speak the truth. So, all Desmond had to do was to tell MIB to hold up a minute and follow the kid who would have surely told him to run away! Run away! But Desmond was under the impression that he had nowhere to run to. But once the boy showed up, he did have somewhere to run! He should’ve run after him, and then wouldn’t have been thrown down a well. For those Desmond fans out there though, I say, don’t worry. And even if Desmond is dead I still say don’t worry. The writers know what they are doing. As I mentioned in last week’s “‘Lost In Myth: Where’s Your ‘Happily Ever After’?” Desmond is the messianic archetypal figure. Just like Jesus, Desmond has been left for dead in a stone tomb. 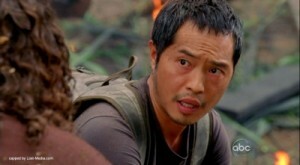 In fact, he may already be dead or (coming attractions spoiler alert) be finished off by Sayid. Either way, give the guy three days and hallelujah, he will rise again! Desmond may die for the sins of those joining up with MIB, but as Widmore promises, his sacrifice will be for a greater good. How might Desmond be revived? As I wrote in “Lost In Myth: Unwrapping ‘The Package,’” we’ve seen all this play out before. 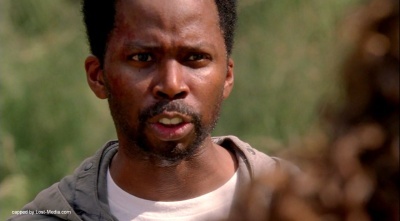 The Swan station was about to blow up the island and Desmond sacrificed himself by turning the failsafe key. Then he was reborn. Now, he’s been thrown down into a well. Why was that well dug? Because it is one of the energy points on the island—just like where the Swan was built. So, Desmond has gone down the well as his role of a failsafe, open to having to sacrifice himself. And just as we’ve already seen, he will be reborn, this time, blowing up the island in the process, which the Swan station represents. What kind of answers does this ultimately give us? MIB already told us. The ancients who dug the well did so because their compasses spun like crazy at that spot. They dug because they were looking for answers but they got none. The message for us is that we will not be given the answers, but must uncover them for ourselves. Well, we will be given answers, it’s just that some things are not answerable. As DJ Lazlo (giving me a guardian angel message as radio DJs are prone to do) pointed out to me during our Lost segment on his show, MIB’s remark hinted to the compass that was passed back and forth between Locke and Alpert through time. The message seems to be that we cannot understand everything. This humbling fact is in itself a lesson. We will never understand all of Lost or life because then there would be nothing left for us to do. No mysteries left to uncover. Life would be boring. In fact, even the answers that we do get from the show have different meaning for each of us, depending on where you are on our own life’s journey. Are you just beginning, in the middle, at the end, or ready to pass on what you’ve learned? Are you a candidate? Speaking of candidates, in the coming attractions for next week’s episode, ABC edited together what I found to be the best, and certainly most chilling preview yet. Intriguingly, they used a sped-up version of Gene Wilder singing, “The Rowing Song” from Willy Wonka and the Chocolate Factory. Those of you who have been reading this column since the start of the season know that I compared Lost to the Willy Wonka film because of the similarities with the candidate process (see “Lost In Myth: Why LOST Can Be A Substitute For ‘Willy Wonka’”). Each child/Lostie is tempted with their own personal issue to see which one would overcome it and take over the responsibilities of the chocolate factory/island. a) maybe that only happens in your parallel life. b) who the heck would’ve actually bought this kooky show in the real world! c) perhaps in the real world you are actually lost on a tropical island and that’s why you’ve been hallucinating about one. d) maybe you’ll just do some more acid and see what other gems are hiding in your brain. e) All of the above. After all, if there’s one thing that Lost has taught us, it’s that multiple realities can exist simultaneously. Just wanted to say……YOU ROCK!!!!!!!!! !